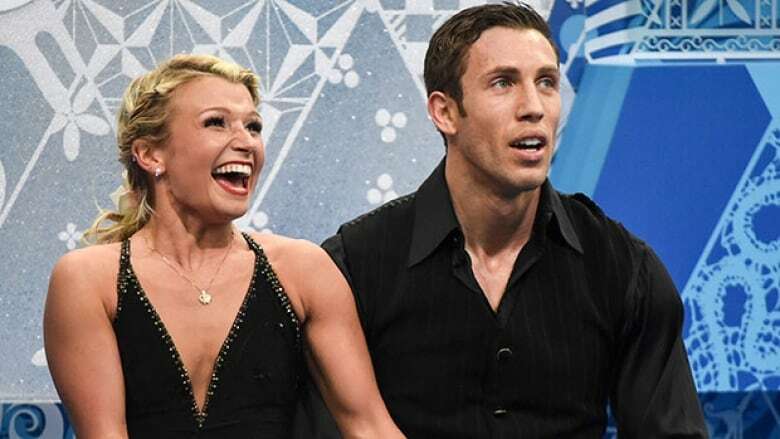 The Canadian pairs figure skating duo of Kirsten Moore-Towers and Dylan Moscovitch is splitting up almost three months after helping Canada win an Olympic silver medal in the team event. Moore-Towers, 21, of St. Catharines, Ont., and Moscovitch, 29, of Toronto teamed up in 2009 and became Canadian pairs champions in 2011. They were runners-up at the national championships the past two years. On the international stage, they won multiple medals on the ISU Grand Prix of Figure Skating circuit, and qualified for the ISU Grand Prix Final three times. In 2013 and 2014 they finished just off the medal podium at the ISU World Figure Skating Championships, with fourth-place finishes both years. "I'm so proud of what Dylan and I achieved in our five years together, and I do want to thank him for everything we accomplished. We are just at different points in our lives right now," Moore-Towers said in a statement. "I feel that there is an opportunity for me to keep skating for at least one, maybe two, more Olympic cycles, so I want to pursue those options. My plan is to look for the partner who will share in that dream." At the Sochi Olympics in February, Moore-Towers and Moscovitch skated in the pairs free skate in the team event, finishing second and giving Canada nine points towards its second-place total of 65. They were the highest-scoring Canadian couple in the Olympic pairs event, finishing fifth.